Do you outline or extemporize? 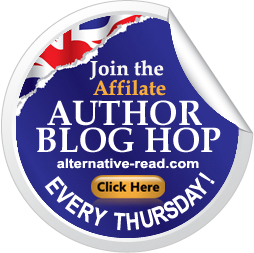 Author Blog Hop: Do You Write in Logical Order? Win a copy of SEAGLASS SUMMER! Oh, I've been involved in a scary experiment. Usually I outline carefully before I write anything, especially a novel-length piece. For my current WIP, I decided just to plunge in without a plan, in hopes that it would make the main character seem lost and wandering. The first half (30,000 words) went great, but then I just couldn't go on. Of course, it was because I didn't know where the story was headed, or what the point of all of it was. Just wandering only worked for so long. There had to be a goal. Yesterday I realized it was time to do the old outlining bit. It had never occurred to me before this that I could wing it for the first half and outline the second half, combining the two approaches. I did so, and now I know exactly where I'm going. I'm not telling my main character yet, though. Don't want to ruin the surprise for him! How thoroughly do you outline? Have you ever tried to grow a plot organically as you write, without the plotpoints in place? When I first started writing fiction, I was pleased to find that I had no lack of ideas. Now that I've been at this a while, my brain keeps spewing plot concepts at a rate my fingers can't keep up with. If it were simply a matter of a fat idea file, I'd have nothing to blog about. Nothing wrong with a fat idea file. The problem is that, recently, I've become over-ambitious at starting new projects based on these ideas. Notice I say starting, not finishing. The problem has worsened, I believe, since I subscribed to the Duotrope newsletter. I wait frantically for it to arrive each week, and pore over the "Themed Issues Deadlines" feature. Every week I get inspired by at least one theme, and usually start writing about one of them. Now I have a fat file of rather bloody story fragments. I'm trying to do the responsible thing and commit to finishing two per month (considering I've also got two novels in the works and lots of marketing to do on finished novels). Surely I'm not alone in this gory habit of starting and abandoning stories. I honestly want and intend to finish all of them. Anyone out there have a solution or at least an improvement to offer? Thanks to Amy Romine for this interesting blog hop question. First, what is meant here by "writing"? Are writing and drafting the same? Perhaps the question is: Do I draft in the order in which the material will eventually be read? The answer to that, of course, is that I can't know while I'm drafting whether that will be the final order of the prose or the final logic of the story. In any case, whether or not I write each scene in the order that I assume it will be used, I do have a sense of that order in my head, even if I write the prose for the last scene before I write the first scene. Secondly, if by "logical," the question is asking whether I tell a story in temporal order, event by event, then I would say, yes, usually, but there are certainly exceptions such as flashbacks. My temporal appoach on the whole is conventional, although I admire authors who can fragment or even dispense with time in their storytelling. That's really tricky to do well. Thanks again. It's been fun to think about this! You could win an autographed copy of SEAGLASS SUMMER by Anjali Banerjee. It took me long enough, but I finally got my complete list of published and scheduled stories parked at Squidoo. Have a look! Quite by chance, I've read several books lately that are meant for adults but feature child characters. The more I think about it, the more common this seems. Think Oliver Twist. Yet the ones I've stumbled upon are all literary novels told in the first person, coming-of-age stories for those already long in the tooth, perhaps hoping to recapture the mystery of youth. Specifically, in the last year I've read David Mitchell's Black Swan Green, Olive Ann Butler's Cold Sassy Tree, and Sandra Cisneros' Caramelo. I don't know what to call this genre, do you? Can you think of other examples?